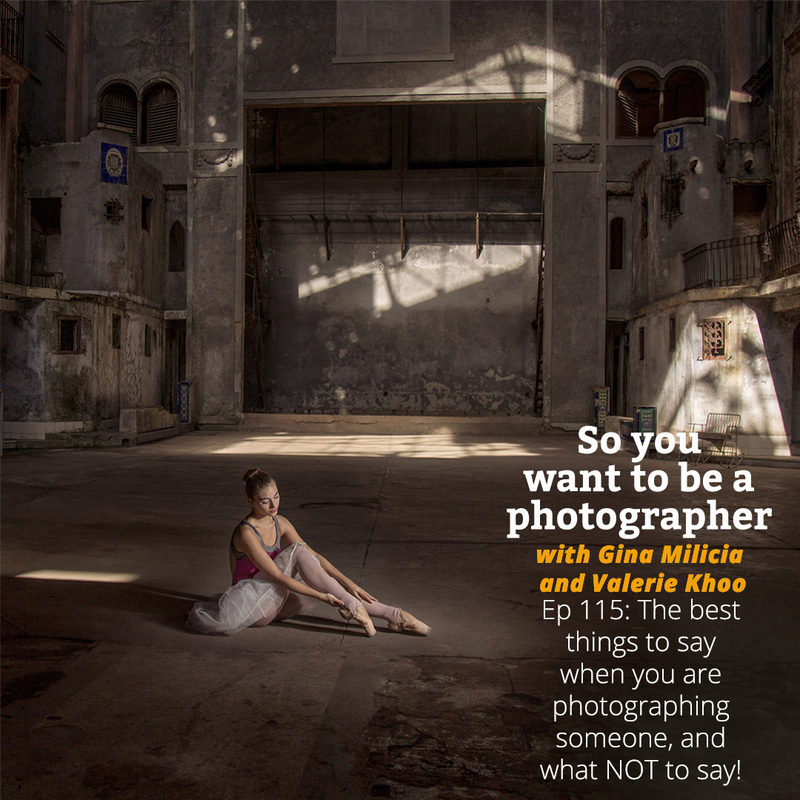 Ep 115: Snapshot: The best things to say when you are photographing someone – and what not to say! There are some golden rules when photographing people. If you want to get the most out of your subject, it goes without saying that you need to get them to feel comfortable and confident in your ability. 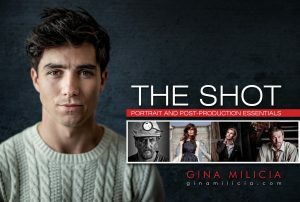 In this episode, Gina discusses what you should say to people when shooting portraits – and what to avoid doing at all costs! It’s really important to speak in a language and tone that suits your personality. If you are softly spoken, it’s pointless trying to be loud and extroverted because you don’t sound convincing. Good energy is essential. You know what it feels like to be served by a shop assistant or waiter that is just going through the motions. 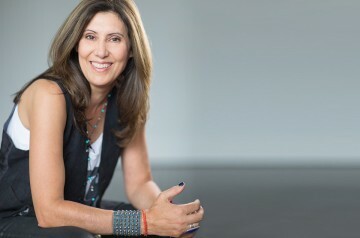 Sincerity and authenticity are everything. To get a genuine smile. I try and get people to laugh. “Smile like you mean it”. “Don’t smile” works for kids as does bringing someone in to goof around behind you. Ask lots of “safe” questions to get your model out of their head so they are not thinking about the shoot. Think about your puppy, favourite holiday location, someone you love. Asking someone to pretend they are someone beautiful or successful. I had a group of people who had never been photographed before and suggested they pretend they were super models and repeat over and over in their minds “I am a super model”. The element of surprise can work, saying something unexpected, silly voices. Praise the good and ignore the bad. Always look for positives in everything your model does. “OMG, your smile is incredible”. “That colour makes your eyes sparkle”. “That light on your face is so beautiful”. Keep talking, keep the energy upbeat. Lots of praise (sincere and heartfelt). That looks terrible or anything disparaging. “Wow this lighting shows up every line on your face, look at the detail”. Nah, you don’t look great doing that. Pulling faces or looking concerned. Silence is the worst thing. Saying too much or overcomplicating language.